At each new millennium, Astrolunia sees its Moon die and loses the balance of its world. To predict this phenomenon, the people band together to send a new moon in the sky that will restore the ecosystem. Help the residents and send your Moon as high as possible! Attention during your ascent, you will be hindered by various obstacles. 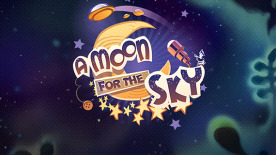 A Moon For The Sky has a simple gameplay: Draw a ligne and that’s all Progressive difficulty through 18 levels, 8 types of obstacles and 5 Bonus / Malus. Customize your Moon and join the Endless Mode to challenge friends and the whole world raising your Moon the highest possible. Will you manage to unlock all levels, winning all the medals and unlock all achievements in the game?